You'll notice the quality of Booger Whips once you remove them from the bag. Forget the cheap China made whips or whips that have LED's wrapped around a CB antenna. Booger Whips, made in Alabama, are designed for trail riders by trail riders. 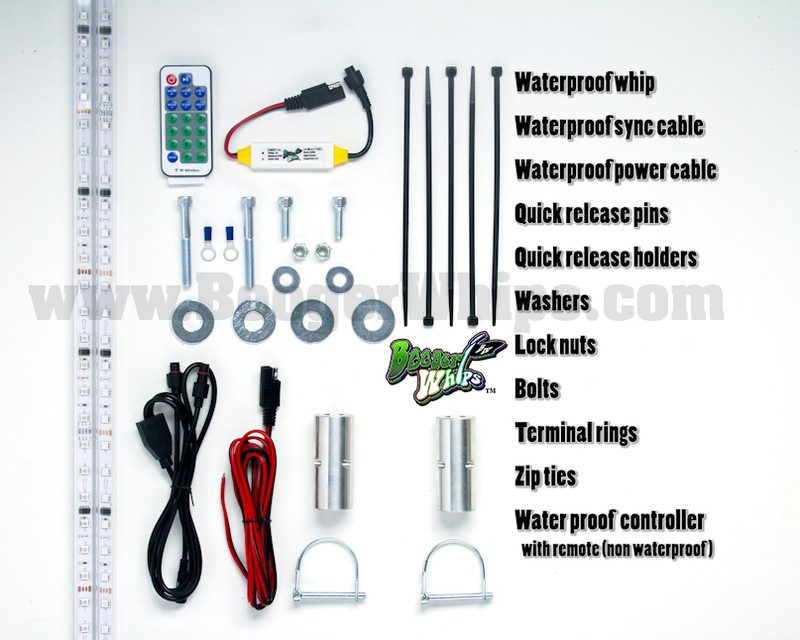 Completely waterproof whip, controller and connections these whips can take the trail riding abuse. 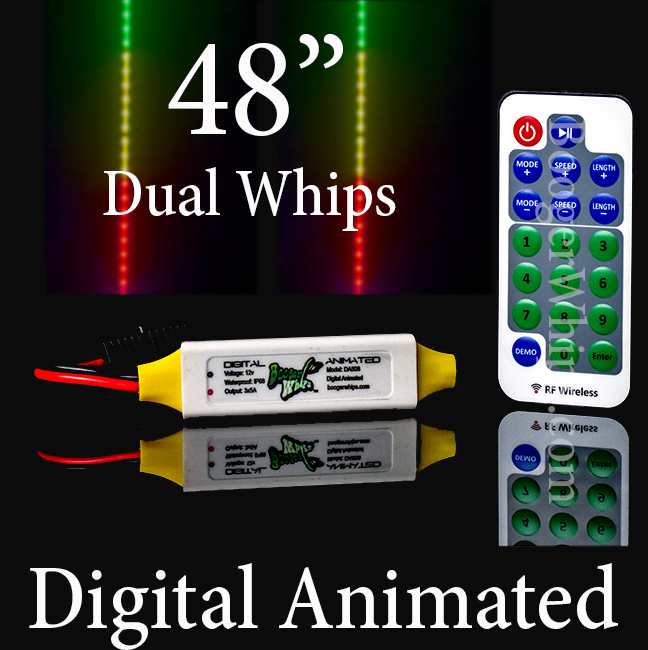 The dual Digital Animated whips comes with everything you need to get both your whips up and running quickly. 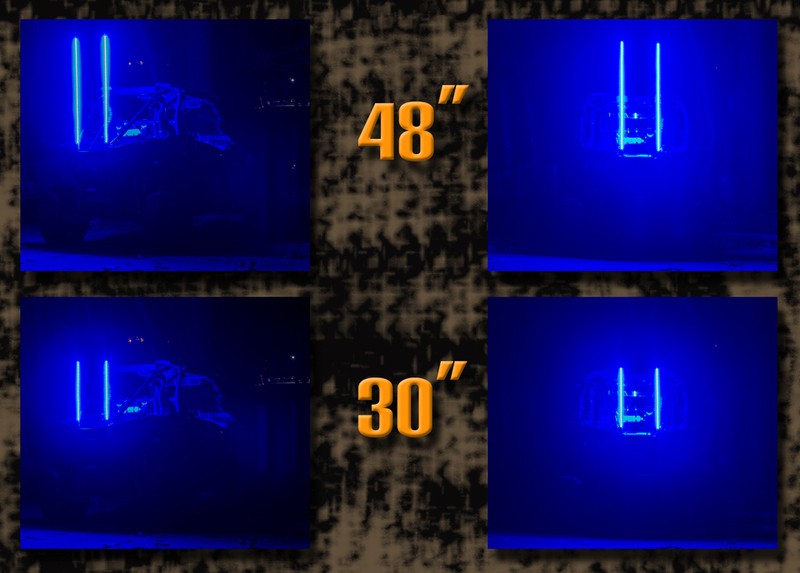 * 1X Waterproof controller The controller offers 99 pre programed animations and 20 solid color. **** The 24in extension cable is recommended for all Can-Am, Kawasaki, and Polaris Ranger. Double check to make sure 45 inches is adequate for your application. **** For off-road use only not recommended for highway use.